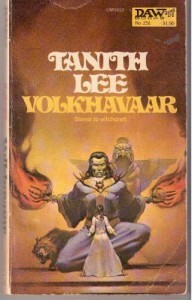 Volkhavaar is an interesting book. I don't agree with the raving reviews, but it's still worth a read. The style is like an oral tale, a story of good versus evil, told by an elder for the young ones. And written down word for word. While reading it I already said that especially the first chapter with Shaina reminded me of these old Russian movies where they took an old folk tale and turned it into a movie. That style is later lost, but overall the book keeps this feeling of written oral history.